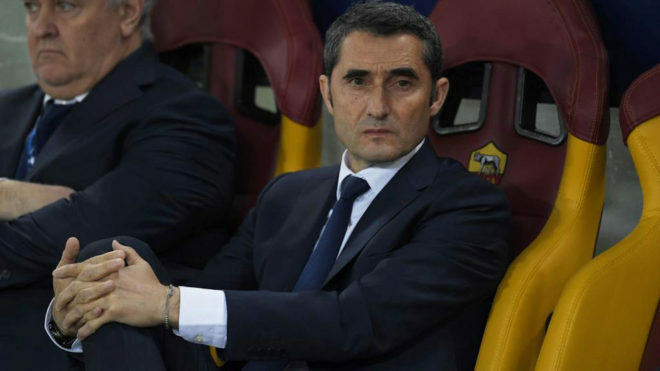 Ernesto Valverde claimed it was his fault after admitting that Roma outfought Barcelona on the pitch and they could not get into their stride. Roma went through on away goals after producing an unlikely 3-0 victory at home. “We had no response, everything went for them and for us we struggled to build our play,” admitted Valverde. “I am responsible absolutely, I am the visible head of the team and it was down to me. “With their pressure it forced us to knock balls long, we became disjointed and we were not able to win the second ball. “When you lose and the opposition are better then the analysis is often extreme. They (Roma) were strong, physical and we had a lot of problems. “Seasons are long and to win a competition is not easy, with only one winning. We know how disappointing this will be for the fans and us, we wanted to play a semi final, this is football. “Everyone is now affected by this but we need to bounce back because we have two competitions that we want to win. Valverde said that he hoped Barcelona could have done more in attack. “You would think that with the game going on and the opposition taking risks, that there would be space for you to take advantage of and chances,” he continued. “We did not manage this and they got a penalty after a rebound. We were never comfortable it is true. “It is a painful defeat it is true. We all wanted to win the competition but only one can win. We did not make it but we have to keep going, there is nothing else we can do. There will be difficult games ahead but we will concentrate on winning what we can still do as so far we have won nothing.